Hope everyone had a nice weekend. I will be the first to admit staying up for the entire Cowboys/Eagles game was challenging to say the least. I wonder how many of you out there watched the whole game, too? I don't about you and if you have kids and if so if you put any parental controls on your cable TV but my wife and I do utilize the parental controls provided by Comcast as means to block certain things our kids can have access to. But I have to tell you I never thought Football Night In America - AKA NBC Sports' pregame show, would fall under the TV14 heading "parents strongly cautioned" but that's exactly what happens each and every Sunday. Now I grant you, perhaps the actual Eagles game should come with such a cautionary edict but the pregame show? What, is Dan Patrick apt to break into a profanity-laced tirade at any time? Something tells me somewhere, someplace someone proverbally pushed the wrong button a long time ago and no one has noticed since. Speaking of Dan Patrick, right before closing out the mature audiences only pregame show, he posed the following question to Tony Dungy: "How do you shut down the Eagles passing game?" I had to catch myself to make sure I heard ol' Dan right. Let's see: you have a rookie QB, a missing Pro Bowl-caliber reciver and an offensive line that is downright offensive, and you are wondering aloud how you stop this seemingly potent passing attack? That was truly both pathetic and embarassing that that was the best query they could think of. I will give you a minute to compose yourself from the belly laugh you are surely having after reading that load of garbage. Wow, and here I thought only the Eagles' players were completely delusional. Apparently it's a league-wide issue. Oh yeah, in his first game with the Jags the rough and ready, physical Jason Babin had a grand total of two tackles, or two more than I did. Oh yeah it seems there was a game played, so I guess I need to share some thoughts on what happened between the lines. *I am not one of those who blame Todd Bowles for all that ails the Eagles' defense - and there is plenty that ails them of course, but can someone ask him why he doesn't dial up a blitz on a 3rd and long situation? Don't tell me you didn't switch channels during the game. I know I did and I'm sure you did, too. 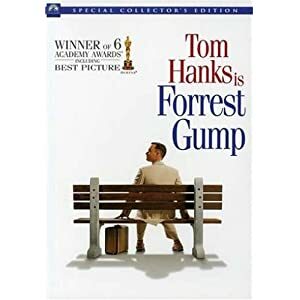 Well if you did you may have seen two fabulous movie options to choose from: Pulp Fiction and Forrest Gump..
Let's see how well you know these movies (yes, trivia is more fun and exciting than watching and writing about an Eagles game - that's how bad it is). 1. What was the name of the club Vincent Vega takes Mia Wallace to where they ultimately win a twist contest? 2. What was the name of the TV pilot Mia Wallace acted in? 3. What "kind of burger" is Brad eating in the scene where Jules & Vincent find him and his cohorts with Marcellus Wallace's briefcase? 1. What "fruit" company does Forrest invest in? 2. What town in Alabama was Forrest from? 3. What rock group's music is featured the most in the movie? I saw quite a few people on Facebook commenting on how well the Eagles were playing, depite the hopelessness that lie before them the rest of the season with some even using the word "fight" as in "the Eagles are showing some fight in them" over the course of the game. To all the Mary Poppins' out there - the ones who want to find something, anything positive to say about the Eagles going forward let me just say you are entitled to your opinion and I wish you all the best with your thinking. But I'm sorry, we've been down this road before, kids. Like last year for that matter. Rememeber the completely meaningless last four games of the season last year? Remember all the fight the Eagles showed during those games? Remember how tough they played? And what did all that get us? One more year of Andy Reid, that's what. So if you want to hang your hat on silver linings and all that nonsense, hey, God love you. Just remember one, Jeffrey Lurie did it once before - keep Reid when clearly he needed to go, so don't come crying to me if Lurie defies all logic and gives Big Red an extension based on the grit and toughness the Eagles displayed AFTER the season was essentially over; when the games didn't matter.